How can they grow faster? 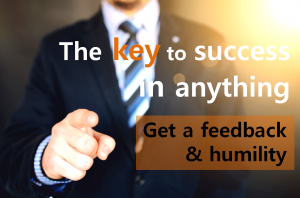 The key to success in anything : Can you? It is hard to get feedback. It is so painful. I love movies about ‘Growing up’. There are moments when any of the main characters must experience. They realized their lack of skills, and they despair. Finally, they overcome it in a cool way through a lot of training. We in reality are pretty much frustrated. I wanted to grow up as fast as the main characters, but the reality was different. I thought I worked hard, but I didn’t grow up well. And I really don’t like getting a feedback and I feel bad. I couldn’t be honest with me. Warren Buffett is different. He boldly acknowledged his mistakes, learned from them, and moved on, in an annual meeting watched by thousands of people. I think Humility is the most important thing. 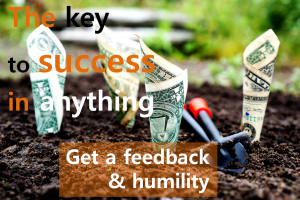 I don’t say ‘false humility’, I want really true humility. Although you get advice, It is not the end. You must listen and apply it to you constantly. Don’t you wonder Warren Buffett‘s daily routine? Who is he ask for some advice? In his room, there are no stock indicators or TV. (Wow) He read books all day. He has a meeting once a day and often enjoys meditation. Finally, the purpose of listening to others’ advice is to change me. My thoughts, my vision, my inner self must be all changed. When I am changed, I don’t need to be swayed by countless other people’s advice. The PyeongChang 2018 Olympic and Paralympic Winter Games will be held in February next year. 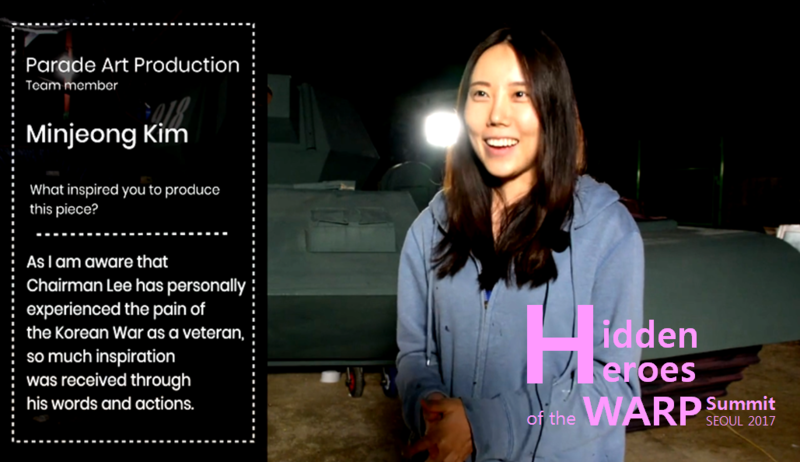 This video above is made for public relations. Its concept is highly acclaimed at home and abroad. 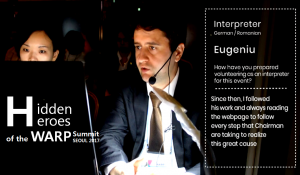 It started from background that ‘AIs were defeated after a 10-year battle with humans’. Heroine main character is the last AI left in this world. Her name is ‘K 2018020925’. What does she do? She studied deeply ‘why humans won‘. What does she find? Emotion! Passion, sadness, joy, love. All of these appeared at a time in the feast, ごちそう, fiesta, 잔치(Janchi). They make the connection between the Seoul 1988 Olympics, the 2002 World Cup and 2018 PyeongChang Winter Olympics. The meaning is that Korea gave thanks to nations who helped Korea and this peaceful janchi united all into one. The keyword is ‘Peace‘. The last A.I. 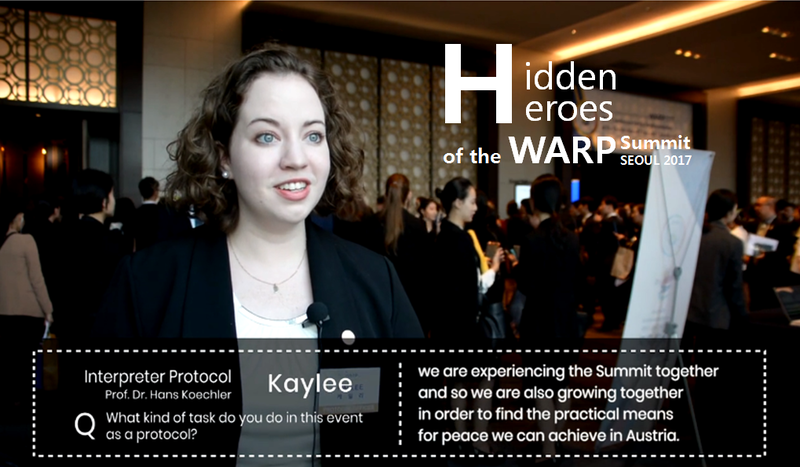 said ‘Why could AI not surpass humans?’ Now the core of PR video is coming out. ‘Was it not a desire for peace?’ In my opinion, there must be some reason. There are at least two things that I know. 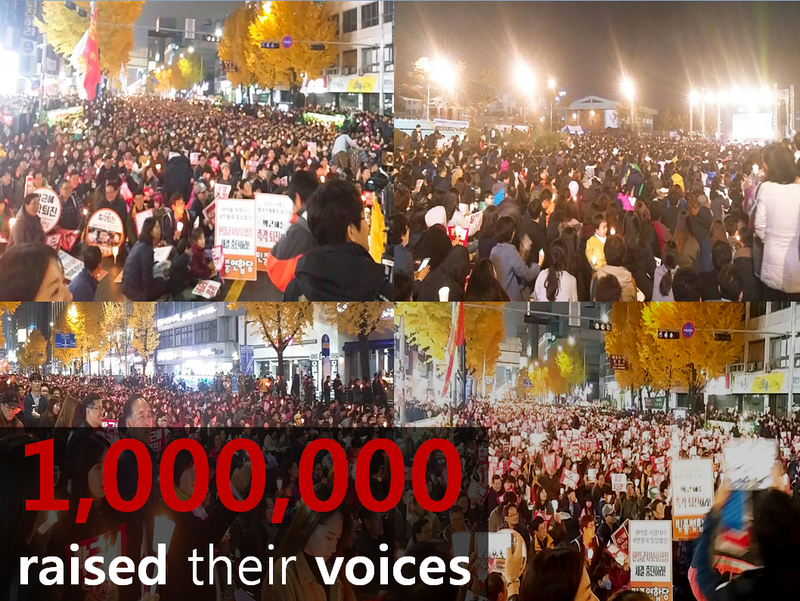 First, on December, 2016, 1.7 million people gathered in Candlelight rally, Seoul. 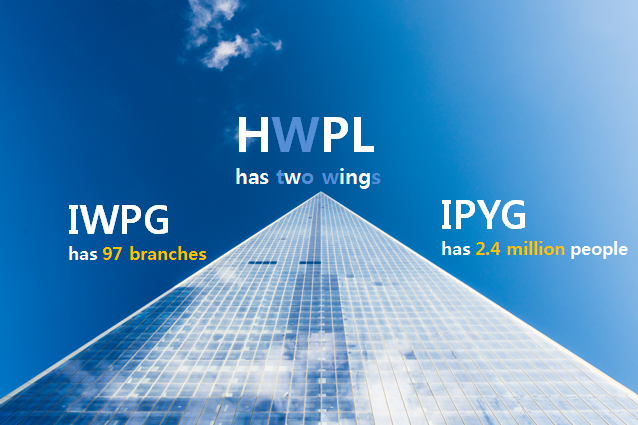 Nationwide total is 2,320,000 people. 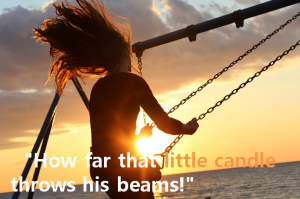 It reminded me of William Shakespeare’s one quote that “How far that little candle throws his beams!”. The world was surprised by peaceful assembly culture and mature civic consciousness. 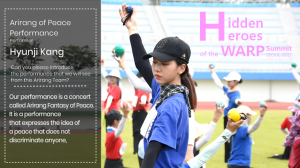 People say “ Don’t hit anyone even by flowers” The video said ‘The candle of peace lit has been carried over to the PyeongChang Olympic Torch and conveyed all over the world.’ I really love this sentence. Here is my posting. 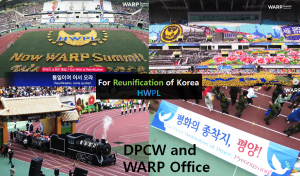 Second, 2017 3rd World Alliance of Religions’ Peace (WARP) Summit was held by HWPL in Seoul, Korea. 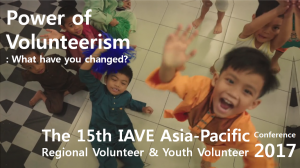 It is a annual event for peace. Each year, influential people from all around the world meet in South Korea. 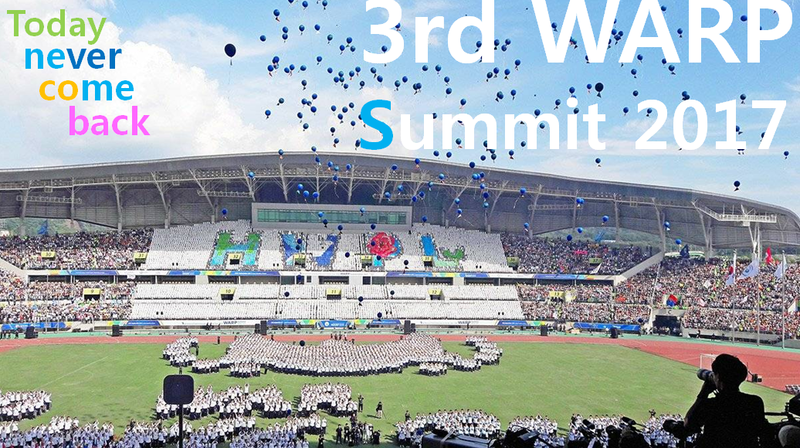 HWPL was acknowledged for substantial and practical way to achieve peace. 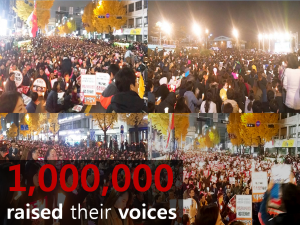 I am very proud of these Koreans. Their slogan is “Together for peace as messengers of peace” Why could human not cease war? 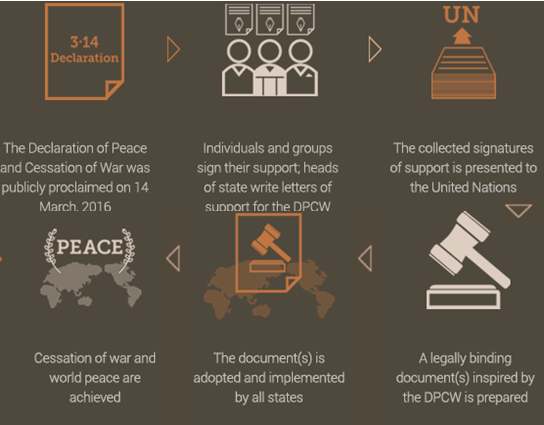 The solutions of HWPL are ‘Declaration of Peace and Cessation of War(DPCW)’ and ‘The World Alliance of Religions’ Peace (WARP) Office’. Now ‘Legislate peace campaign’ is carried out. Since then, 705,000 signatures in more than 170 countries. 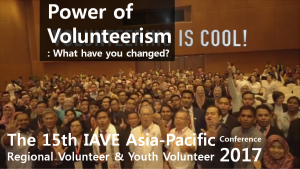 And 117 schools from 8 different countries (as of July 2016) voluntarily became HWPL Peace Academies. 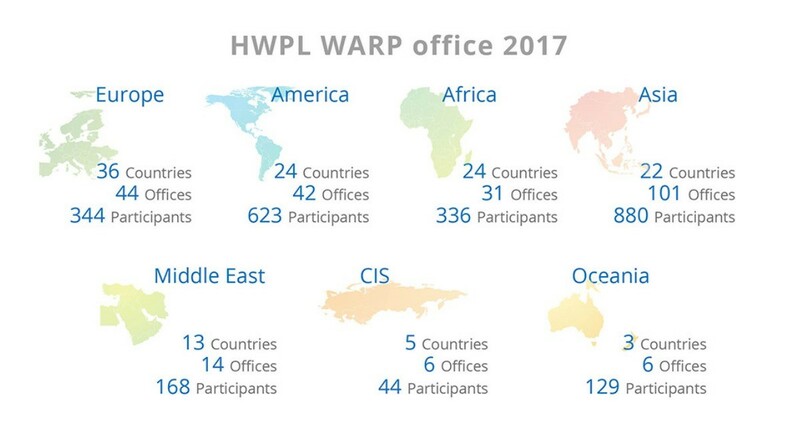 In the short three years, the WARP Offices have seen rapid expansion with 218 offices now operating in 126 countries. How was this year? When you look back on this year, how do you feel? 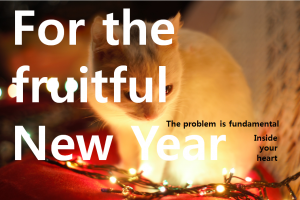 Can it be a fruitful New year? If its problem is converted to ‘I’, It is a very hard problem. Sometimes I really don’t want to look back. Maybe I don’t want to face me. I just avoid it by saying that I don’t have any time to look back. Our thoughts and our words is not just what it appears to be. It depends on our fundamental things. For example, maybe you can’t think like ‘I can do something’. Why do you think like this? It depends on your faith to you, confidence, belief. These invisible and fundamental things is hard to be changed. That’s why it’s more valuable and more important. Can you make your New year more fruitful? Are you confident? You think you can do anything? Or you think you can do nothing? From a personal standpoint, neither are important. 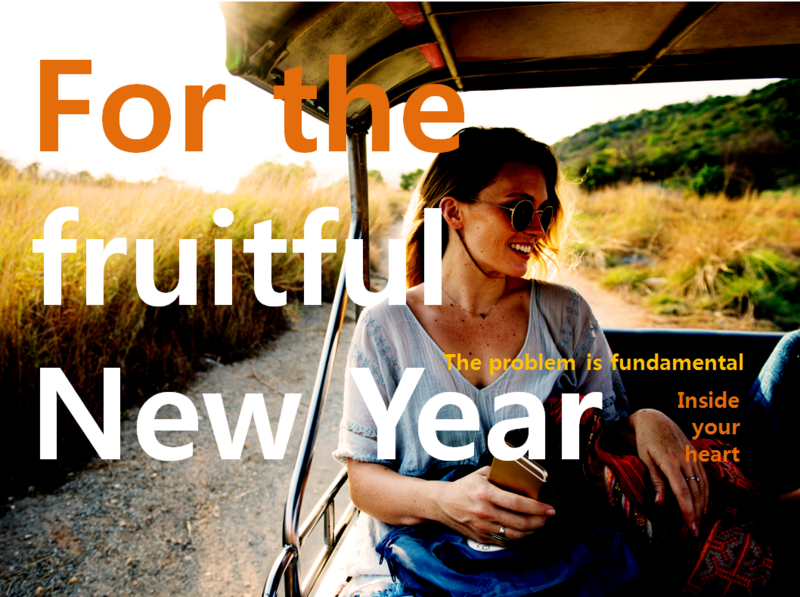 Confidence isn’t not proportional to your fruitful New year. 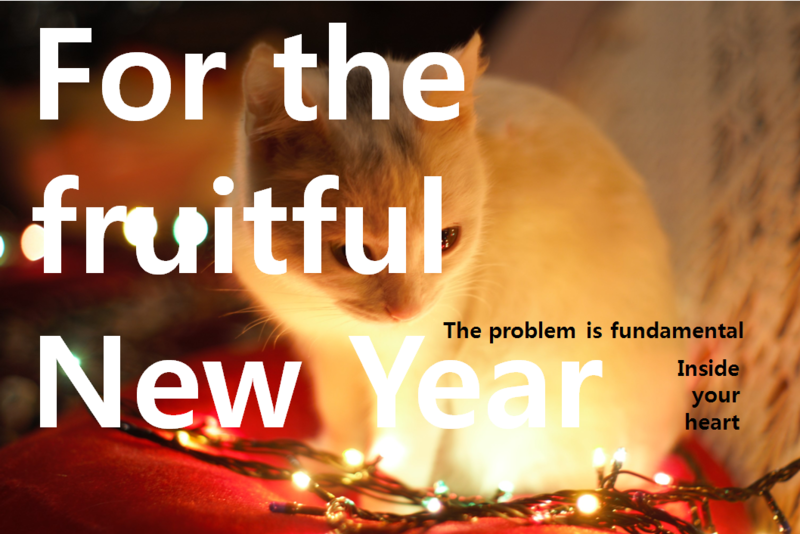 The problem is fundamental. International companies like Google, Amazon and Facebook already carry on fundamental things. ‘Growth mindset‘ of Kelly McGonigal is famous. Also Meditation, MBSR(Mindfulness-Based-Stress-Reduction program) and Logotherapy are conducted. Actually, so many people suggested the solution. The answers are overflowing. Just I hope you will follow your heart. In Nietzsche, you encounters a dragon, and “Thou Shalt”(meaning “you shall”) glitters on its scales. Kill the dragon. And you become the child. 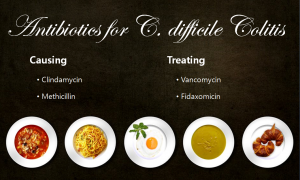 What is C. Difficile Colitis? Clostridium difficile (also called C. difficile) is a bacteria which can cause inflammation. It is known as ‘colitis’ in the large intestine or colon. 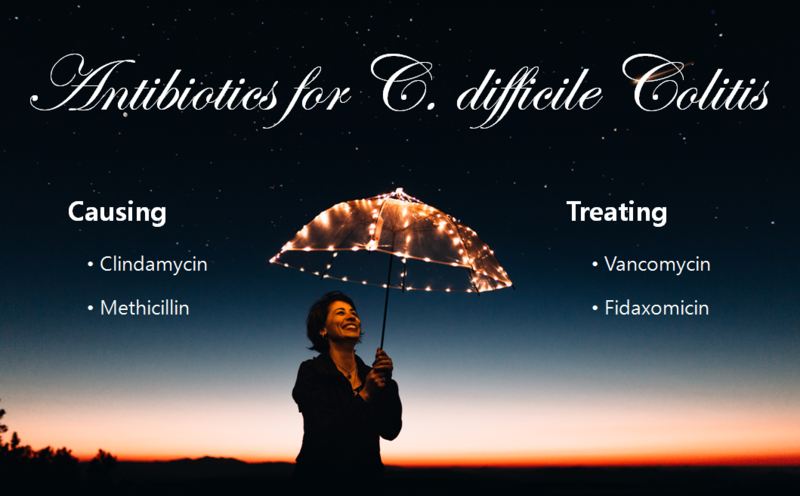 If you get antibiotics, you can maybe get ‘C. difficile Colitis’. It can be said ‘Opportunistic infection‘. It means an infection caused by pathogens that take advantage of an opportunity not normally available, such as a host with a weakened immune system. 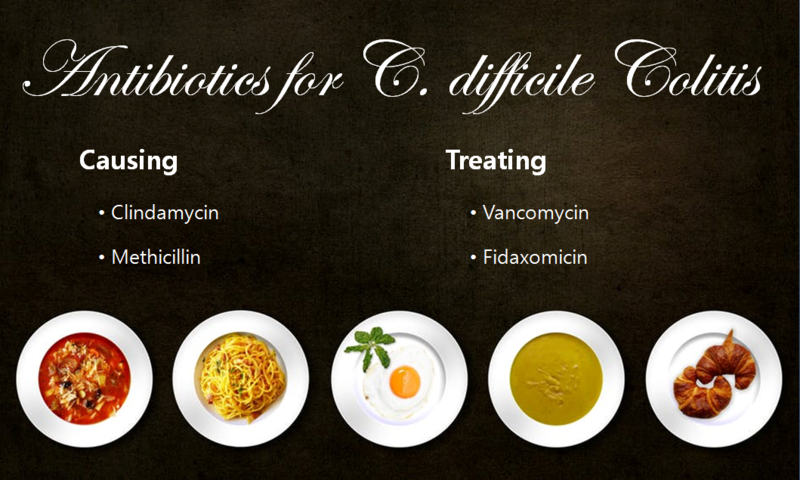 C. difficile is infectious. C. difficile Colitis is common in old patients who are in hospitals and who are getting chemotherapy for cancer. I will show you antibiotics more in detail. Clindamycin and Methicillin have side effects that can cause C. difficile Colitis. I will introduce action mechanisms, characteristics and side effects of each antibiotics. First, Clindamycin binds to 23S rRNA of 50S(bacterial ribosome) to reduce synthesis of protein to. It can treat Anaerobic bacteria infection. Its side effect is, we already know, a C. difficile Colitis. Second, Methicillin irreversibly binds to transpeptidase of bacteria to inhibit cross linking of murein polymer. It is a 2nd generation penicillin which can be used for Skin and soft tissue and MSSA(Methicillin-sensitive Staphylococcus aureus). Its side effects are ‘Hypersensitivity’, ‘Neurotoxicity’ and ‘C. difficile Colitis'(by Oral). 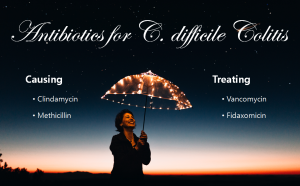 Vancomycin and Fidaxomicin can treat C. difficile Colitis. Action mechanisms, characteristics and side effects are here. First, Vancomycin inhibits Murein polymerization to inhibit synthesis of cell wall. It can be used for Gram (+) bacteria. 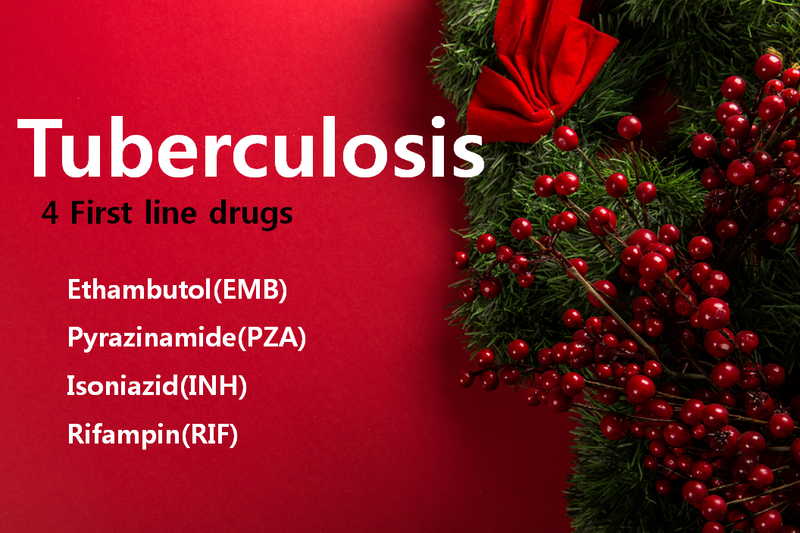 Its effects depend on IV and Oral administration. With IV administration, It can treat MRSA(Methicillin-resistant Staphylococcus aureus). With Oral administration, It can treat ‘Pseudomembranous colitis’ of C. difficile. Side effects are ‘Red man syndrome’, ‘Nephrotoxicity’ and ‘Ototoxicity’. Second, Fidaxomicin binds to RNA polymerase to inhibit ‘initiation stage’ of RNA synthesis. It can treat C. difficile Colitis and its side effects are ‘Nausea’, ‘Vomiting’ and ‘Abdominal pain’. The World Alliance of Religions’ Peace (3rd WARP) Summit, which was first held in 2014, has been held annually in Seoul. Each year, influential people from all around the world meet in South Korea. HWPL was acknowledged for substantial and practical way to achieve peace. Actually, people who come to the Peace Festival are all moving. They can feel ‘Peace waves‘, which also be called ‘the heart of peace’, deep down in the heart. 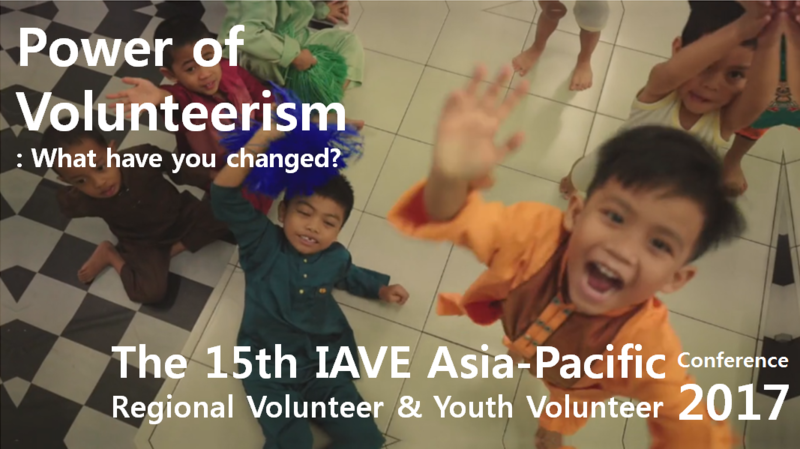 This time, I introduce ‘Peace parade‘ and finale ‘Arirang of Peace‘ performance. 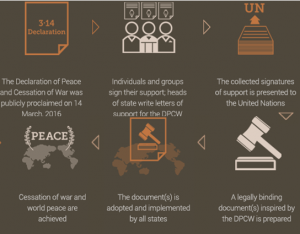 The peace parade showed how global peace is being achieved in accordance with the 10 articles and 38 clauses of the Declaration of Peace and Cessation of War. Q. You are creating a tank and a unification train. Which part of this should be viewed carefully? “In the case of the tank, a key point to take notice of is how the cold and lethal weapons of death are transformed into agricultural tools that help people and give them joy. So, it becomes a world where there are no longer any weapons that kill people. In the case of the unification train, it shows how the unification of Korea, which is the world’s only divided nation, is able to give hope. Q. What inspired you to produce this piece? “During the proclamation of the Declaration of Peace and Cessation of War, Chairman Lee of HWPL stated that we must not create weapons that are to be used for war any longer, but instead should transform them into tools that are beneficial for humanity. These ideas have been a great inspiration for my work. 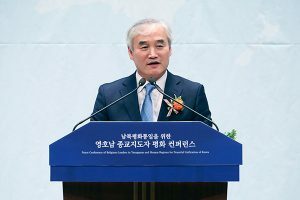 Going along with the lyrics of “Arirang of Peace,” it was like seeing the blueprint of a new era and “entering the new world of peace” that is without war and terrorism. Q. With what kind of heart did you prepare for this performance? Q. 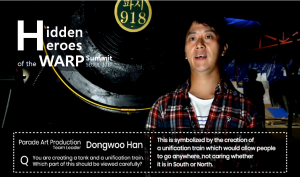 Can you please introduce the performance that we will see from this Arirang Team? “Our performance is a concert called Arirang Fantasy of Peace. It is a performance that expresses the idea of a peace that does not discriminate anyone, even though nationality, race, culture and religion may all be different. It brings together a traditional Korean song with traditional instruments, dances martial arts and other elements showing a harmonized global village full of excitement. This concert is a peace festival that represents the global village that will live in harmony and create peace. It is during the performance of Ganggangsullae(강강술래), a traditional Korean dance, in the Arirang of Peace where one of our team members steps across the connected backs and shoulders of the others. This clearly demonstrates how a beautiful reality of peace is achieved through the combined sacrifice and effort of everyone involved. 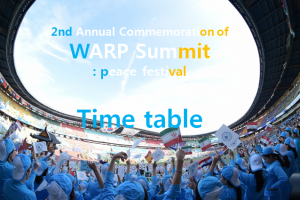 The World Alliance of Religions’ Peace (3rd WARP) Summit, which was first held in 2014, has been held annually in Seoul. 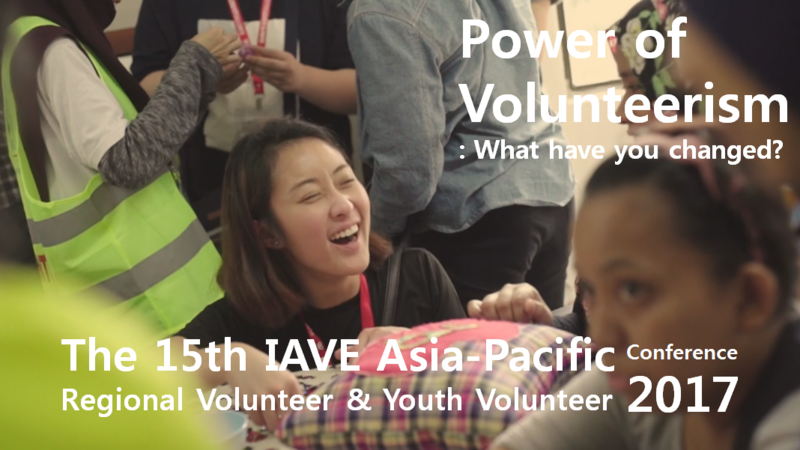 Each year, influential people from all around the world meet in South Korea. 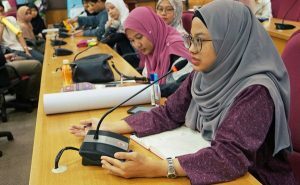 Political, social, and religious leaders as well as experts from youth and women’s organizations, civil society actors and the press gathered to discuss practical ways of achieving peace. 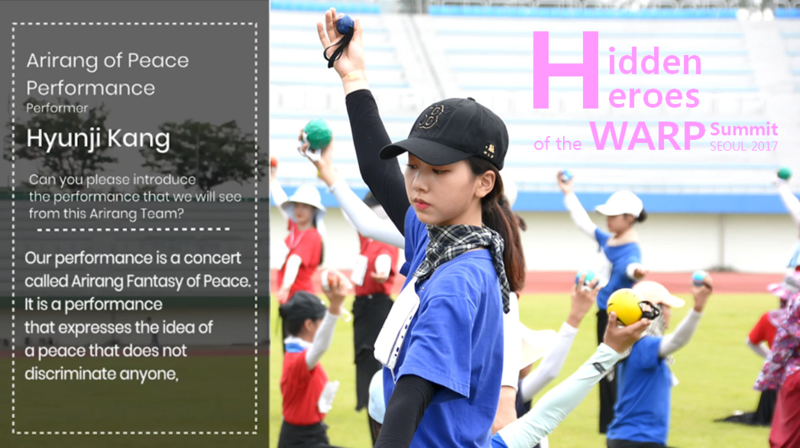 Also at the stadium, the peace festival is held! IPYG’s card-section performance, a peace parade, various art performances, and speeches were proceeded. 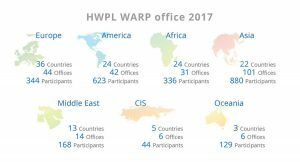 Substantial results of HWPL are supported by a large number of planning team members and volunteers. Q. What purpose and content did you plan in thins card performance? Q. What kind of hear are you working with? Tuberculosis (TB) is an infectious disease usually caused by the bacterium Mycobacterium tuberculosis (MTB). The classic symptoms of active TB are a chronic cough with blood-containing sputum, fever, night sweats, and weight loss. Tuberculosis is spread through the air when people cough, speak or sneeze. 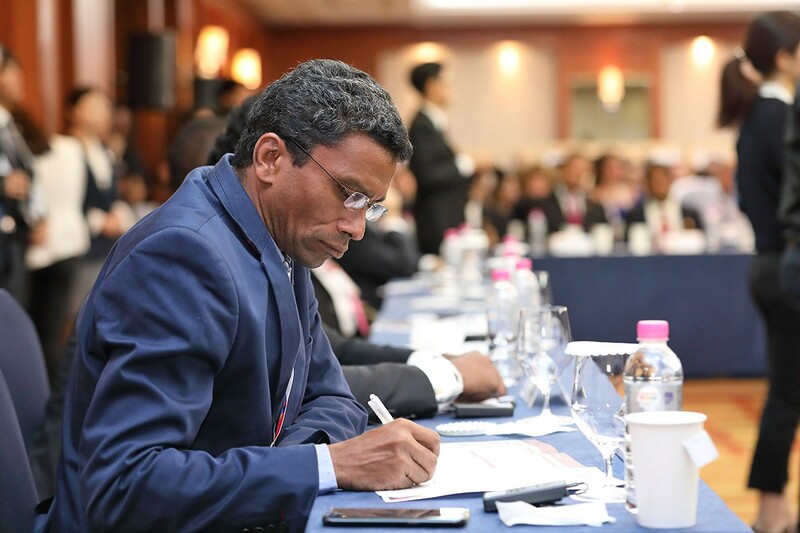 The problem is that one-third of the world’s population is thought to be infected with TB. Being infected does not mean that you get tuberculosis. 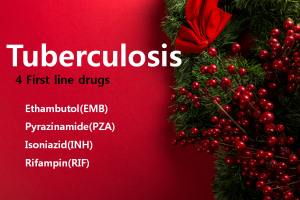 About 30 percent of the people who contact become infected and 10 percent of the infected people become tuberculosis patients, while the remaining 90 percent of the infected people stay healthy. More than 95% of deaths occurred in developing countries. What the era is it now? North Korea is constantly threatening with nuclear weapons, and there are still wars everywhere around the world. Someone’s family dies, and those who survive are screaming. 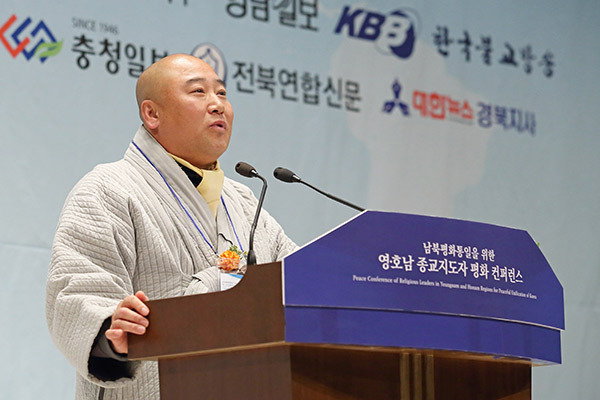 On November 25th, 1,200 social representatives gathered at the “1st Peace Conference of Religious Leaders in Southeastern and Southwestern Regions for the Reunification of Korea” Their purpose is to discuss spreading a culture of peace and preparing action plans for the peaceful unification of the two Koreas in Daegu Metropolitan City, South Korea. Although peaceful events are considered to be a good cause, it is easy to criticize them for being only symbolic. But No need to worry! 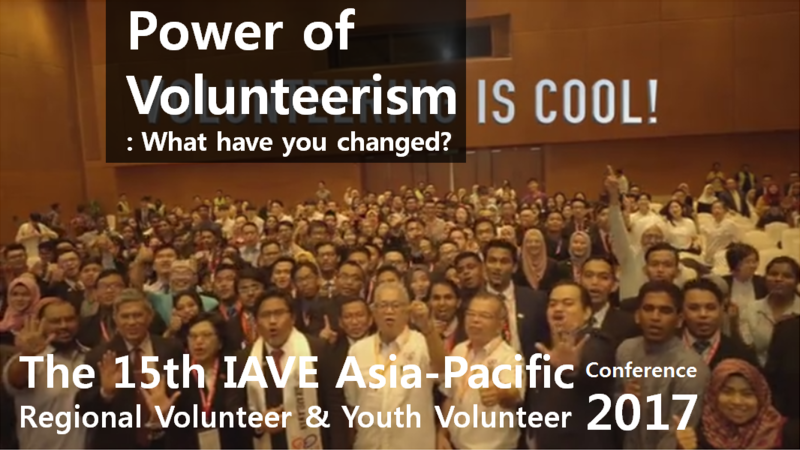 It is because HWPL which hosted this conference has been evaluated as a practical and substantial peace group. It is understandable even though you know a little bit about their movements. Chairman of Heavenly Culture, World Peace, Restoration of Light (HWPL) which is under the UN ECOSOC and the organizer of this conference gave a message. Chairman Lee proposed the formation of a civil society network at the global level, as well as the legalization of the 10 Articles and 38 Clauses of the Declaration of Peace and Cessation of War (DPCW) and the World Alliance of Religions’ Peace Offices(WARP Office).